KSBJ Presents: MercyMe's Imagine Nation Tour - 89.3 KSBJ God listens. 5115 Interstate 10 Access Rd. Can you imagine what the world will be like when all darkness is eliminated and hope and restoration take its place? 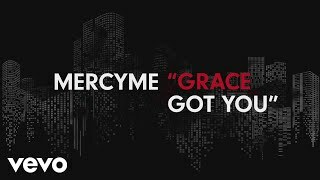 MercyMe has helped us imagine what that would be like with powerful music that has uplifted us for more than two decades. Songs like “I Can Only Imagine”, which inspired a feature film, and their new hit single “Grace Got You”, are packed with enough inspiration to change the way you view the world forever. KSBJ invites you to join us for a life-changing night of ministry and worship at MercyMe’s Imagine Nation Tour. Joining MercyMe is Crowder, who drops his new album “Red Letters” on Nov. 9, and talented lyricist and Texas-native Micah Tyler! Three powerful worship leaders, all in one night. It is going to a night of worship like you never imagined, so don’t miss out. Get your tickets today and join us in Beaumont, TX on March 8 for MercyMe’s Imagine Nation Tour.